Vita Perfetta If You Can Read This...Socks take party accessories to the next level. We personalize them with fun phrases from pop music and social media to movie quotes and just crazy sayings. Pick your favorite phrase or get matching pairs with your friends. Click here for the list of phrases! Whether you’re “TURNT” or “SO LIT” express yourself every step of the way! Are you “Low-Key Addicted to Starbucks”, “BESTIES”, or a “Head To Toe Sole Player”? Make your statement with Vita Perfetta If You Can Read This...Socks! Further find your footing with fun socks by wearing a range of awesome new designs! From mystical creatures like unicorns and aliens to quirky animals like flamingos and hamsters, the options are endless! Don’t just let your socks do the talking…let hilarious emojis on your socks do the talking too! 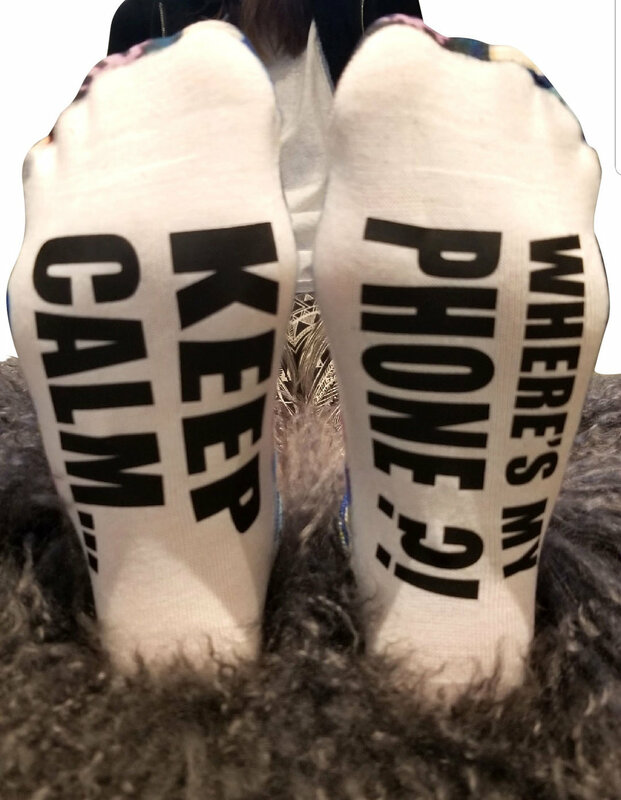 Funny phrases to compliment these crazy, kitschy, creative designs will wrap your feet in a wealth of witticisms…and warmth, of course.